This version includes a slew of new features! Here ye, here ye!! Come one!! come all! After a long and tumultuous crusade on the Xbox Of Live arcade platform, The Behemoth have graced our King system, THE PlayStation of the 3, with their legendary tale of Castles and Crashing them. Has the long-winded wait of 2 years been worth the it or should this 2D beat’em up stay home, waiting for the day that it might dust off its war torn armor and go into battle once again? Have no fear followers of the PlayStation of the 3, as our review reveals the truth ye’ seek! 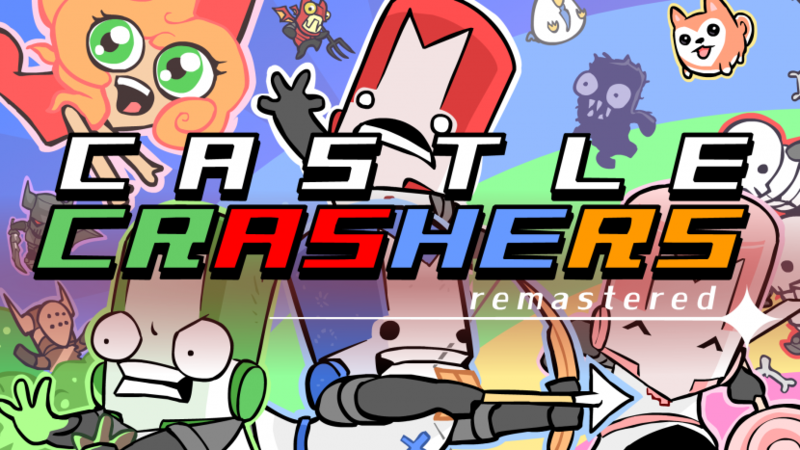 When The Behemoth, developers of Castle Crashers of one of the most popular Xbox Live Arcade ever released, would hit the PSN, fans rejoiced. 7 months later and guess? No Castle Crashers on the PSN!! Don’t get too worried though, as PS3 gamers will be receiving exclusive content upon release.